r: - - violet ? Paper game for two players. Snare - For two players. 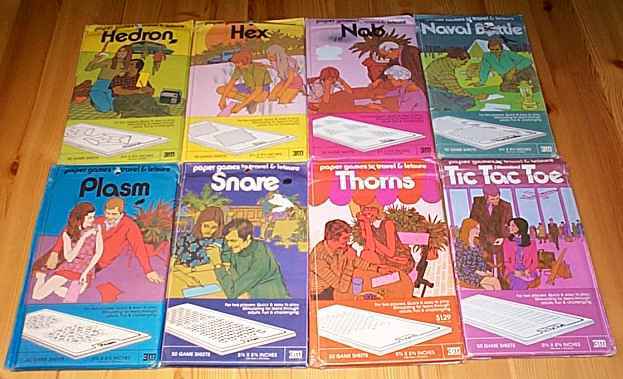 A game of lines and loops. To capture the most shaded squares. 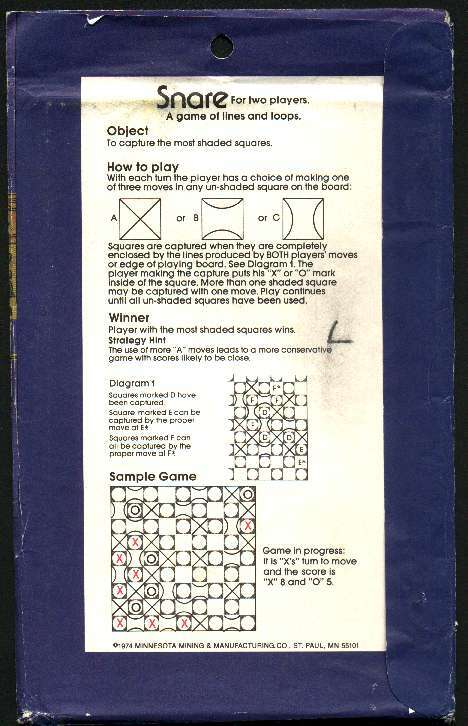 With each turn the player has a choice of making one of three moves in any unshaded square on the board: A or B or C.
Squares are captured when they are completely enclosed by the lines produced by both players´ moves or edge of playing board. See Diagram 1. 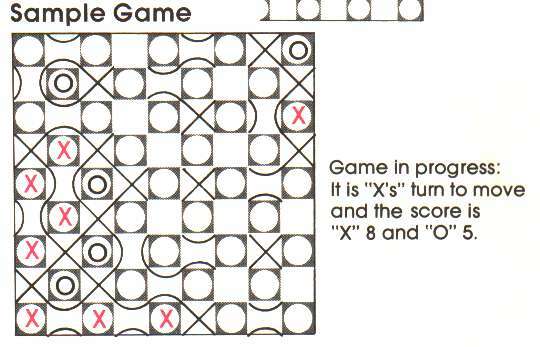 The player making the capture puts his "X" or "O" mark inside of the square. 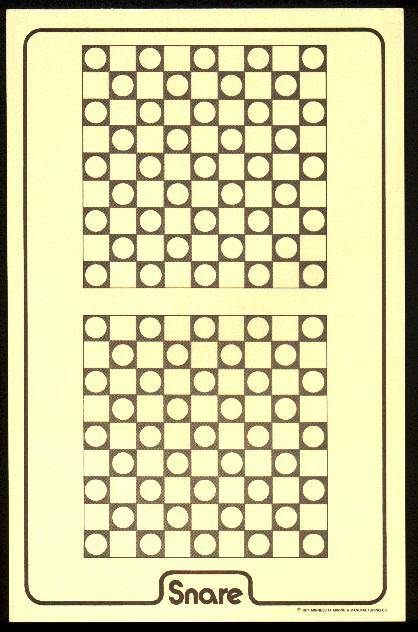 More than one shaded square may be captured with one move. 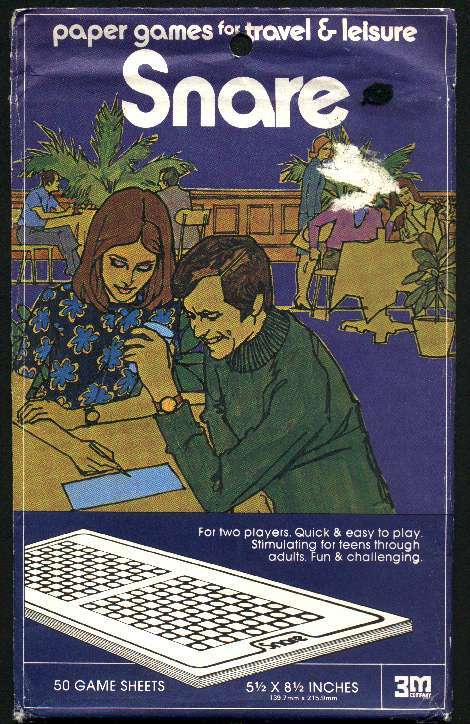 Play continues until all un-shaded squares have been used. Player with the most shaded squares wins. The use of more "A" moves leads to a more conservative game with scores likely to be close.